Samsung releases 3 new mini desktop computers. 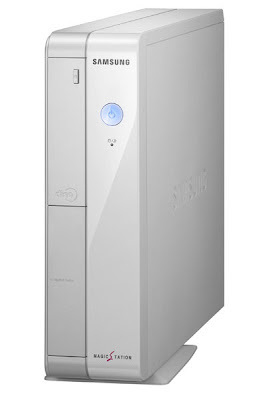 Samsung MagicStation DN-X100 desktop with Intel 45nm Core2 Duo shown above measures 5.6cm(L)×30.1cm(W)×27.34cm(H). 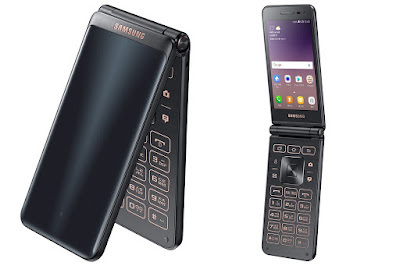 Samsung will release Galaxy Folder 2, a retro folding design with a 96.6mm large screen display. It comes with a social network app key that allows easy access to frequently used social media applications. It can be used as a shortcut for applications such as Kakao talk, band, etc. that users most often use. In addition, Galaxy Folder 2 comes with 2GB RAM, 1.4GHz quad-core, 1,950mAh removable battery mounted. It supports Android 6.0, supports Micro SD slot and can expand capacity up to 256GB. Galaxy Folder 2 will be released as two models of LTE and 3G models, and the price is 297,000 won ($258.61) It will come in two colors: black and burgundy.